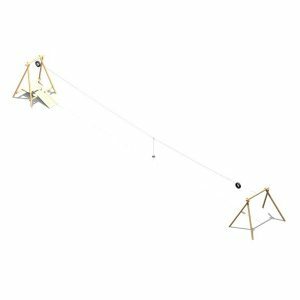 Multi-user Heavy Duty Single Point Swivel Swing. 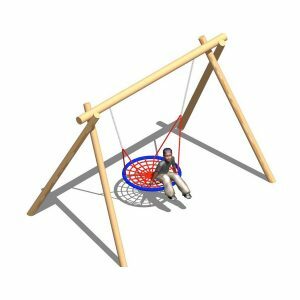 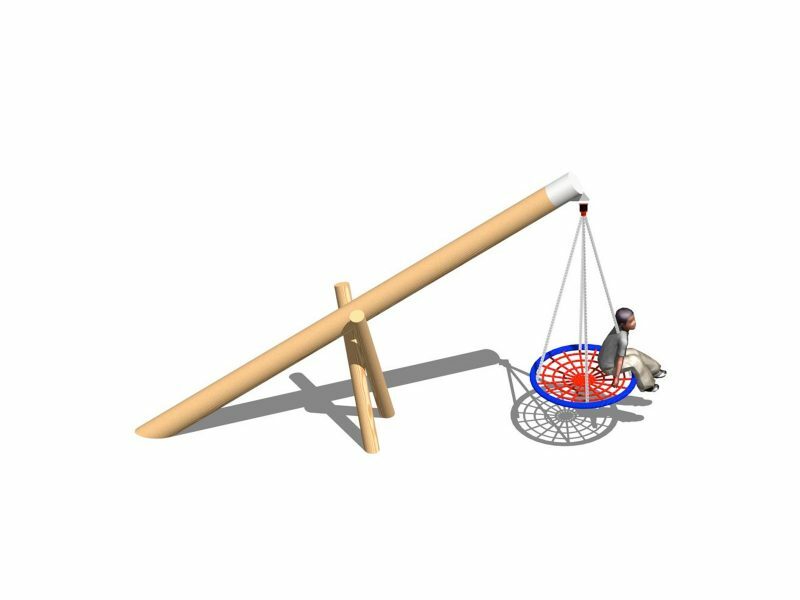 The Cantilever Swing with Basket Seat swing offers the chance for a small group of children to use the swing at the same time. 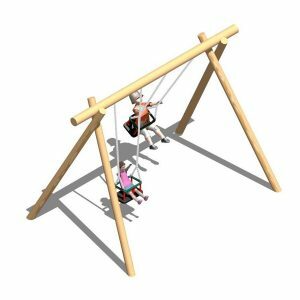 The Cantilever Swing with Basket Seat is also ideal for children with certain disabilities, as the size and shape of the seat provides greater stability & they can be accompanied by others. 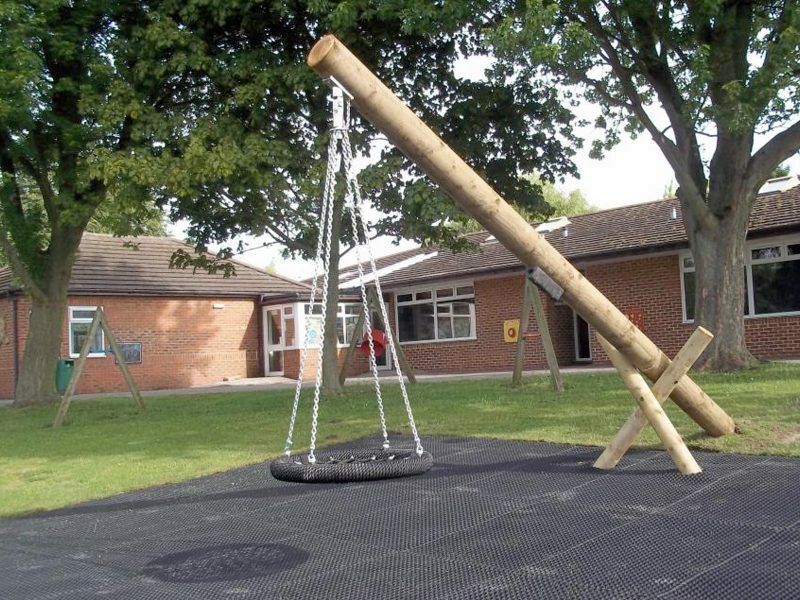 Encourages social and interactive play. 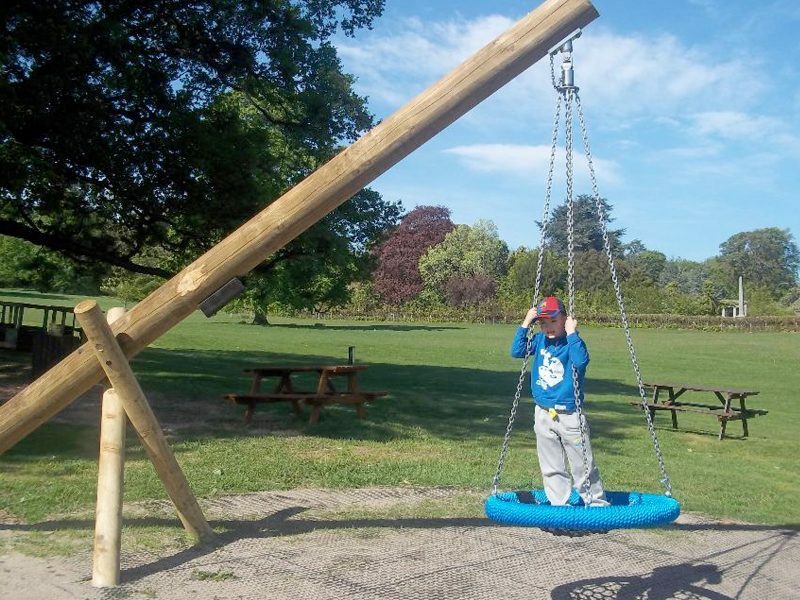 While swinging, rocking, and risk taking, children can enjoy sensory stimulation and learn about weight and gravity. 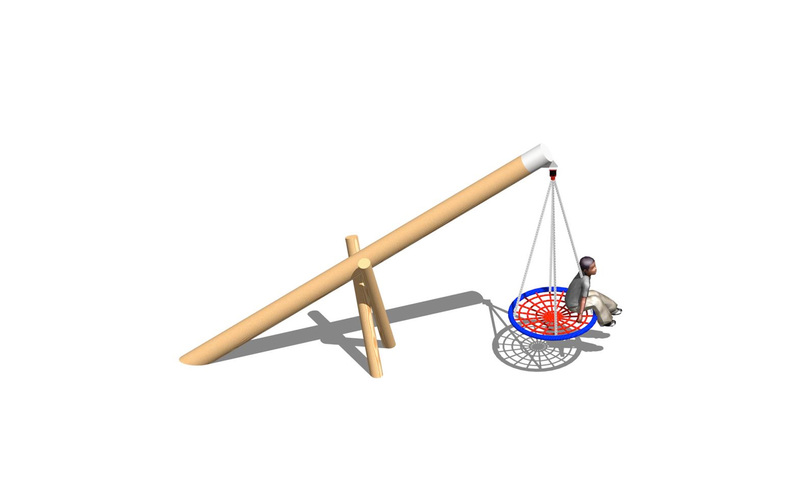 The Basket is 1m in diameter and is manufactured from steel reinforced rope for added strength. 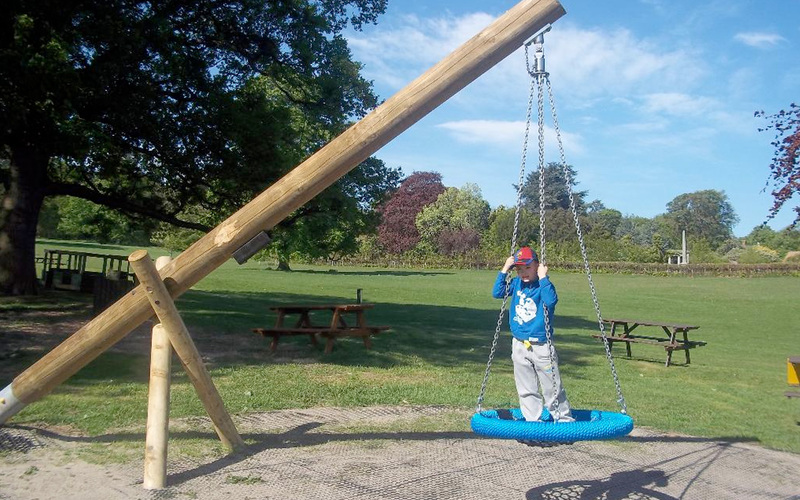 Please note – we use Heartwood timber poles for these swings for additional strength. 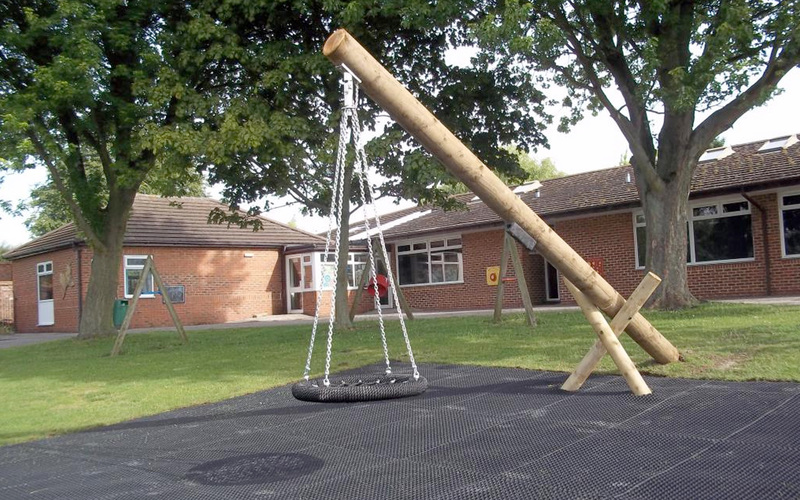 Heartwood Timber usually ‘air-cracks’ as it dries. 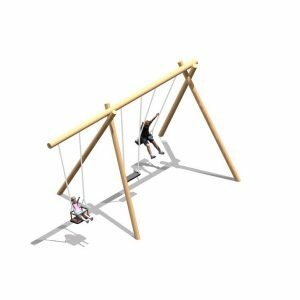 This is natural and it does not detract from the strength of the product, it is purely cosmetic.